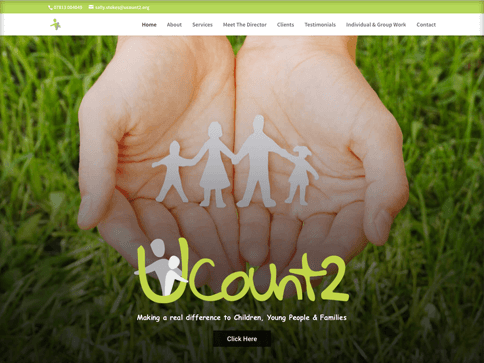 U Count 2 is a business all about making a difference to children, young people and families through advice, groups and support. We were approached by this client from a recommendation within a similar industry who we have also created a website and branding for. 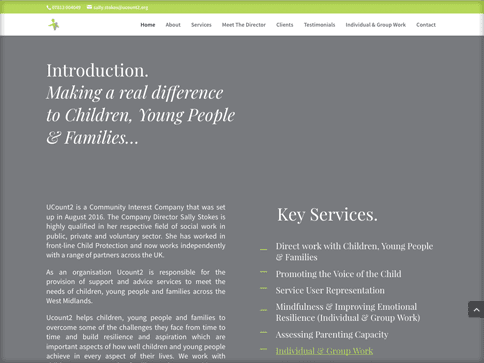 We were asked to create 2 websites, one for U Count 2 and another for the sister business in the same style, with a different branded skin. 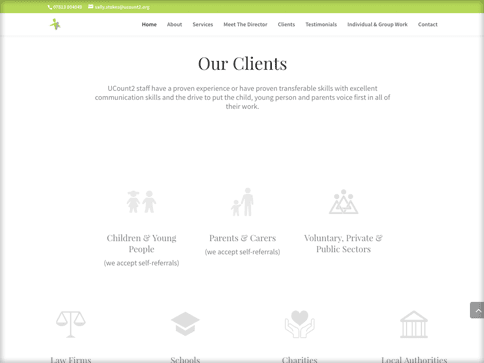 Both websites utilise a one page scrolling navigation for quick and easy navigation and is a great way of showcasing a business with little content. The site is built to scale in the future as then businesses develop and more content & features can be supplied.